I awoke alone this morning because my child bride is visiting a brother in Querétaro. He’s making a long recovery from encephalitis. It was still black out because I invariably bound from the morning bed in darkness, around 6 or so. And perhaps due to being alone this dawn, I noticed the birds more than usual. Birds, of course, with some rare exceptions, do not fly at night. They sit on a limb or in a nest. If they flew at night they would collide, and dawn would reveal little unconscious birds everywhere. And they awaken very noisily. All birds, both male and female, greet the dawn like women. They start talking nonstop. It’s a gabfest. Many people store reading material next to the plumbing throne, and I am no exception. But there is something special about my situation. There are two books next to my seat, resting on a little wooden table, and they have been there for ten years. One is The Ultimate Spanish Review and Practice, and the other is 501 Spanish Verbs. A decade ago my Spanish was considerably shakier than it is now, so I thumbed these two books while doing my morning business. I really don’t need these books anymore, but they still sit on the table, and I still flip through them, though rarely finding anything new. Looking at the sink. It’s a colorful painted ceramic. I am open to suggestions for alternatives. I pick up my child bride this afternoon at the bus station in the state capital, so tomorrow I’ll have other stuff on my mind. As I write this, shortly after 7:30 a.m., a hog next door is screaming bloody murder. At times I feel like Old McDonald. Do you know what bird is in the top picture? BTW I take my iPad to the office for morning business, that way my reading material is limitless. I browse about 5 newspapers and a few blogs before its time for the paperwork. 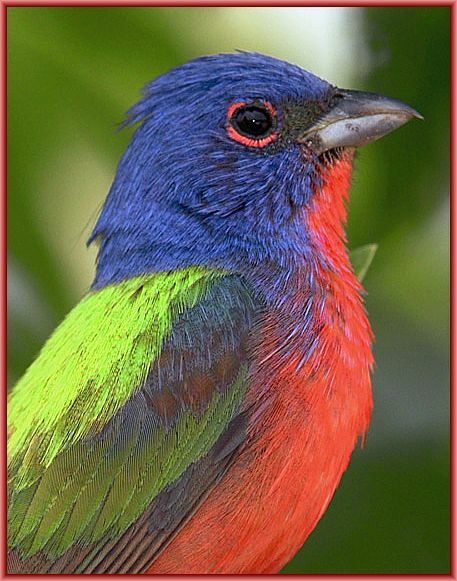 Carlos: It’s a painted bunting, one of the prettiest birds you’ll find outside the tropics. I spotted one in Central Texas once. Yeah, I can take the Kindle to my morning sit, but somehow it just doesn’t appeal. Birds in the morning are one of God’s great gifts. Just as the sun is coming up, the local birds start doing their impression of a singles bar. Even at half past 9, as I write this, they are still in full chorus. Steve: One reason, I think, that birds seem so loud and happy in the morning is that they know they passed yet another night without colliding. Parrots in the morning are the bestest. And the noisiest with the exception of chachalaca. Central American forests is where they display. Our destination backyard isn’t bad for songbirds. Chacalacas! I’ve neither seen nor thought of chacalacas in such a long time. It’s a great bird name. Thanks for the memories. Well, scratch ’em both. 🙂 Trying to paste a noisy chachalaca youtube! Carole: I only zapped the second because it was the same as the first. Oh, well, nice try. Suburbia, in the NY area has all, beautiful red, blue, and woody woodpecker. They wake me up with their loud, joyful songs and noises. Groundhogs, they dig up my garden, rabbits are plenty here and love to eat my plants, cute though. Did I mention the racoons that think pool toys are teething rings? That leaves books. They are a delight and when not happy with the words, it’s an easy exchange, and with no complaints from anyone. Andean: You live in an active world, it appears, and that is good. 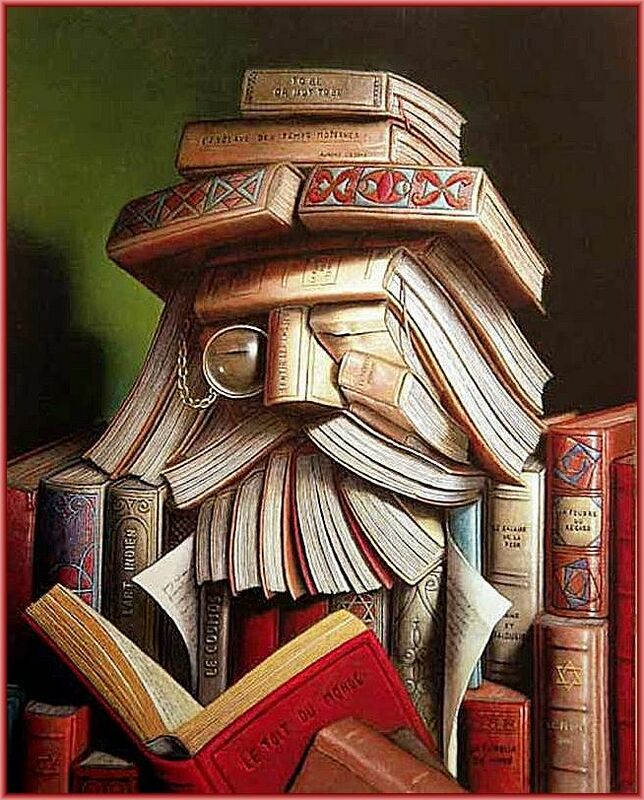 A healthy colon should not need coaxing or waiting time to peruse literature. Eat adequate fiber, drink liquids and pursue a moderately active lifestyle. Laurie: You have touched precisely on the reason I do not bother with taking my Kindle to the throne. I don’t sit there very long. I have a cooperative and happy gut. I thought you of all people would enjoy reading world newspapers on your kindle with a relaxed sphincter. One evening in Tarpon Springs, while sitting on my front porch, I observed a Great Horned Owl perched on top of the house across the street. It looked as big as me from the waist up. What a magnificent creature it was, with excellent night vision. Ever since then, I have considered the owl as my totem symbol and spirit. For some reason comments seem to be showing up late here. Dunno why.